To rule the digital market, you need to come up with a robust, scalable and feature-rich mobile application which should be compatible with Android and iOS. The reason you should develop an app compatible with these two platforms is because they both have a huge user base and will offer a proper market for your app. The Android and iOS operating systems have their pros and cons but in this post, we won't be discussing Android application development services or iOS development. Here you will be reading about few app development tools that will come in handy while building an innovative application. It will be good that you create an app that functions on both the platforms as it will not only help you in earn good amount of users but will also fetch you several monetary benefits. Launched in the year 2011, this app maker is quite refined compared to the other software. Shoutem comes loaded with plenty of powerful development options such as smooth image integration and adding location-based directory which helps in building different apps that use geographical locations and photos. Apart from that, Shoutem also helps Android apps developer to add different monetization elements like advertising support, integration of Shopify etc. As it's a paid software so the pricing starts from $19 for the basic version and if you wish to publish your app on Google Play or Apple's App store then you need to pay $49 for the advanced plan. With this, you can develop apps compatible with iOS, Windows Phone OS, Android. You can also use it for creating pure HTML5 apps. Apart from being feature-rich this software also allows developers to build a responsive website which can be synced with the app content. Right now, this feature is in the beta phase, and the company promised to launch the full version soon. This app maker is one of the big players in the market. It is used for building robust enterprise apps and companies like Disney, TED.org, Cirque Du Soleil and Universal Studios got their apps developed using this software. Coming at the price point the Core version of Mobile Roadie has a price tag of $149 and the Pro version has a hefty price of $799. As this software focuses on larger companies so small or part-time app developers don't use it much. Mobile Roadie offers great templates and gives several options to tweak them as per the requirements. Moreover, there's a huge support community where you can get in touch with other developers or designers using this app builder. 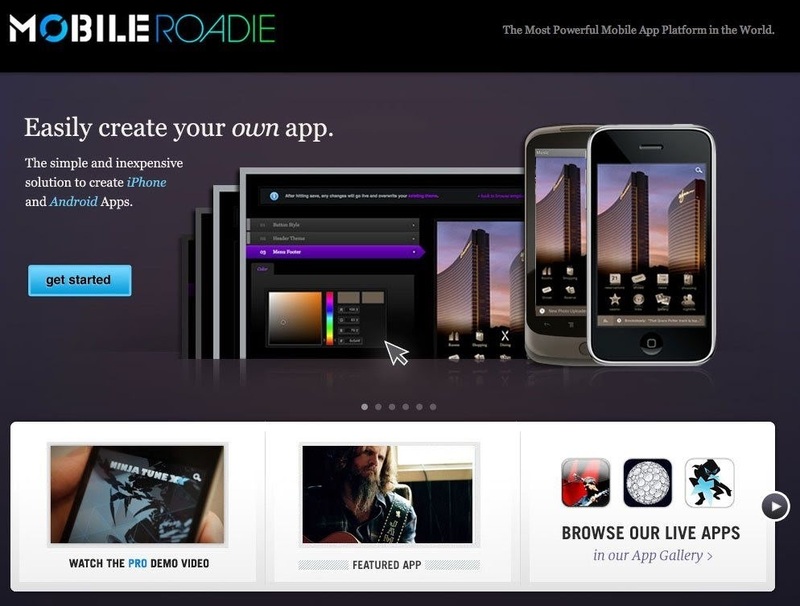 Compared to Mobile Roadie, the Mobincube positions itself as the website builder which can be used by everyone. This software comes with an Admob platform that assists in running adverts in the app. Mobincube is quite affordable and a developer has to pay $9.99 for the basic version. 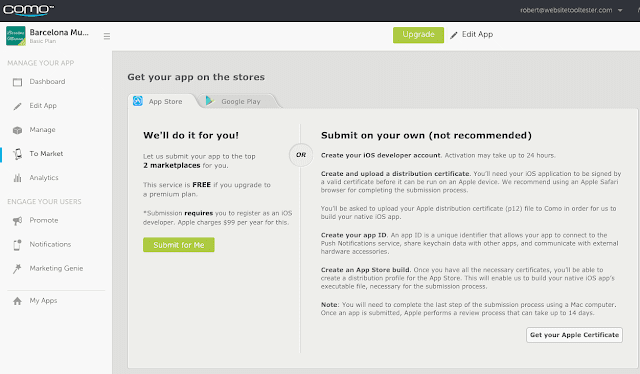 Another good thing about their plans is that it allows developers to go native or they can publish their app on any app store. Mobincube is still in development phase, so you might face few technical issues or bugs while using the editor. From simple to complex, a developer can create any page type using this software. After some recent changes, you can now add HTML modules, user account registration screens, advanced forms, embedded HTML5 games and much more. 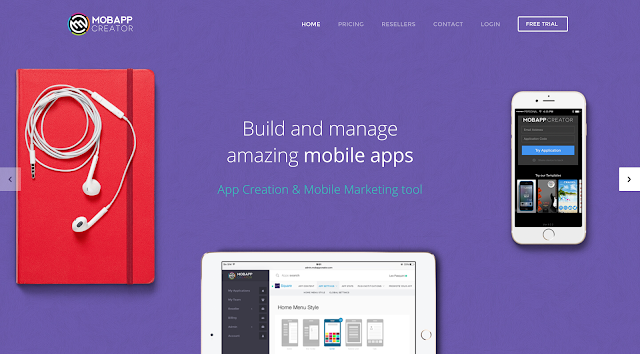 It is a newly launched software and mainly focuses on building native apps i.e. apps which can only be published on one platform. The developers of this software claim to have almost 41,000,000 apps views and rising. There are not many pre-designed templates in the app builder but the editor is very user-friendly, offers a simple interface and no technical jargons are involved. 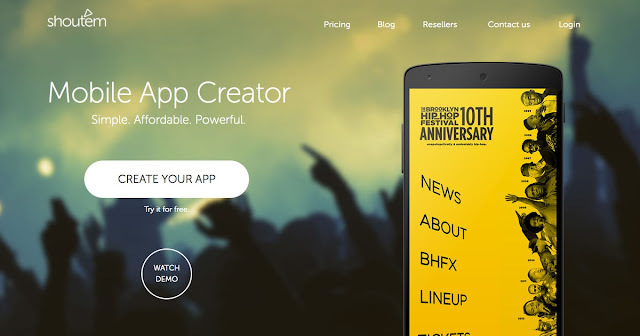 MobAppCreator comes with a 14-day trial version which offers proper access to all the tools. The cheapest plan starts at $32.50 per month and it comes with few additional templates. And they have their own separate online store module available for the South American market. This app builder comes loaded with beautiful themes and amazing features like social networking, iBeacons, Geofencing, chat system, etc. 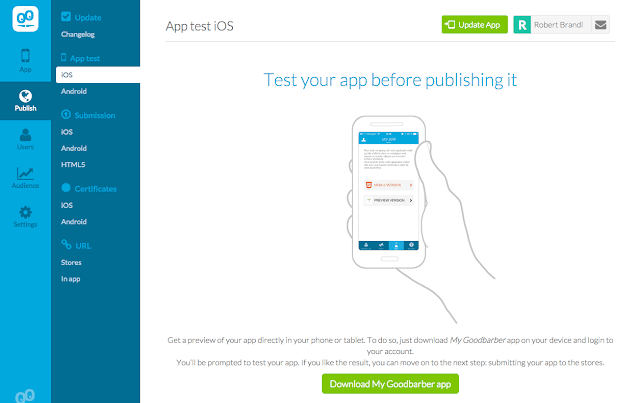 With GoodBarber you can get your native iOS and Android app developed at just €16 per month. There's an extensive showcase of apps which were developed using this software. Apart from that, a user can also integrate different eCommerce features like Amazon, Shopify and Etsy. Their app editor is easy to use and even an amateur developer can use it to create a basic app. The only drawback of this system is they don't have their own online store. This app maker claims that it has been used to build around 1 million apps which make it another big player in the market. They offer a spectrum of app building blocks like loyalty card feature, user reviews, events, appointment scheduling and eCommerce. Most of the restaurants, bands and museums use this software to developer their apps. It has seven unique templates that can be combined with six navigational styles. Como DIY recently updated their pricing structure: now there is only one pricing tier which is $57 monthly, $48 yearly and $41 bi-yearly. Along with cost-effective prices, they also offer a 6-month "Success Guarantee plan" which means that Como DIY will give you six months for free if you are not able to achieve any profitable or meaningful business results with the app developed using this platform. In this post, you will come across seven best app building software's that will surely make your app development process hassle-free. This is true that you don't need to an expert in scripting languages however if you actually want your app to get published on Android or iOS app store then you will be needing a basic coding & image editing skills. High quality graphics, features and functionalities are some of the key components that enhance the user base of an app. Xicom Technologies Ltd, is an USA based, Software and mobile application development company. We have 350+ experts who are available on the full-time, part-time and hourly basis. You can hire their developers at just $25 per hour.